If you’re planning a trip to China, Beijing is bound to be one of the destinations you’re considering, what with it being the county’s capital and all. While the city has been home to a host of treasures for centuries, in more recent years it’s gained international attention – especially since the Olympics in 2008, when it put on a spectacular show. Today, we’re going to be taking a look at some of the city’s very best tourist attractions – many of which can be seen in Beijing’s historic centre. For more ideas, you can visit this website. Also known as the Imperial Palace, the dramatically named Forbidden City lies at the heart of Beijing. This is the country’s biggest and best-preserved complex of ancient buildings, and it’s a wonderful place to learn more about the history of China. In fact, you could easily spend the whole day exploring this place. As you do so, try to remember that in its heyday, no visitors were permitted – in fact, if you tried to cross the palace’s boundaries, you’d actually be put to death. So, it’s strange to think how many people flock here today compared to when it was the haunt of the country’s rulers. Next on our list is Prince Gong’s Mansion, which is one of the most spectacular in the city – in fact, it’s believed to be the best-preserved imperial residence in the whole of China. 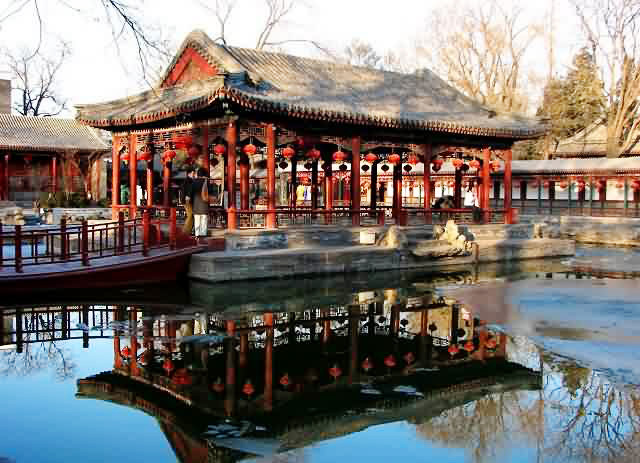 You’ll find it in Shechahai (which is in Beijing), where it is home to beautiful gardens, as well as the house itself. As a quick tip, performances of Peking opera are sometimes held in the opera house in the grounds, so it’s worth seeing what’s on during your visit. No trip to Beijing would be complete without visiting Tian’anmen Square, which is usually regarded as the symbolic heart of China. What’s more, it’s the largest public square in the world, spanning an immense 440,000 sq m.
What’s particularly interesting about this place is that it incorporates many elements of traditional Chinese culture (it was first built in the 15th century), but you’ll notice that a lot of the surrounding buildings and decorations are actually quite Soviet in style – something that goes back to the time of Mao and the Cultural Revolution. There are a lot of places to visit around it, including the National Museum and the Great Hall of the People, while if you’re a morning person you could head here at sunrise to watch the daily raising of the flag. Last on our list is the Jiankou Great Wall, which is one of the sections of the Great Wall of China that you can see when staying in Beijing. Often said to be one of the most attractive stretches of the landmark, this part is found in Huarou County. The main section of the wall here runs along a mountain ridge, and this, paired with the fact that it has very steep cliffs on either side, means that you need to be quite fit if you want to hike along it. Doing so is well worth it though, especially when you consider some of the sights you can see along the way. This part of the wall is home to landmarks like the Beijing Knot, where the three walls coming from different directions meet. The Nine-Eye Tower is another firm favourite, and has nine holes in each side that resemble nine eyes – hence its name.